Note: This review is spoiler-free for the current novel, but assumes you’ve read the previous books. 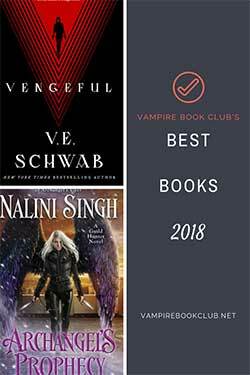 If you have yet to start the Chicagoland Vampires series, please start with my review of Some Girls Bite. Biting Cold showcases Merit’s growth as a character. She’s a stronger woman. Her confidence shines throughout the novel. She learned to exist in the worst case scenario without Ethan, and he’s returned to find her more capable than he realizes. Additionally, she isn’t in any rush to forgive Mallory for damn near destroying Chicago (more on that at Heroes & Heartbreakers). Or for the other craziness she causes in Biting Cold. When we started this journey in Some Girls Bite, Merit complained about her new lot as a vampire. In Biting Cold we finally see her as a truly powerful, capable woman. Hell, I’d let her lead a House, if I were in the GP. Speaking of those bothersome vampire politicians, things are still jumbled within Cadogan. The GP isn’t pleased with them and refuses to reinstate Ethan as the Master of the house. (He did die.) Expect political tensions within the vampire world as well as with the fae. We see Claudia, the fae queen, more than once, and she continues to be a fascinating ancillary character. 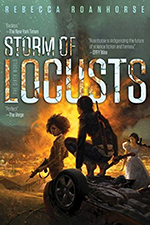 Chloe Neill delivers another engaging plot, but better yet Biting Cold reminds us this urban fantasy series is about strong, well-developed characters. Ones we can get invested in and wish were real so we could indulge in a pizza and sing-along movie night at their place. 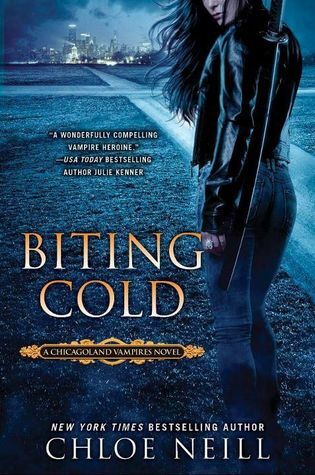 If you’ve been on the border about continuing Chicagoland Vampires, I encourage you to read Biting Cold. Neill has brought the series back to the core we fell in love with — and there’s a lot of Ethan. Shirtless. You do want to read about a Mr. Sexypants Vampire without clothing, don’t you? Well….as a matter of fact, yes I do want to read about “Mr. Sexypants Vampire without clothing”. LOL! Thanks for the review, I’m picking up my copy today. I knew you would. We all love that stubborn vampire. Sounds good, I really missed Ethan. I swore off this series, but your review is compelling. I am soooo jealous that you’ve already read this. I don’t have mine yet. 🙁 Thanks for the review. That’ll have to hold me over until my book gets here! I’m sad that I’m already finished but I just couldn’t wait to read it! I really like that Merit, like Chelsea says, doesn’t just let Ethan dictate their relationship. It’s another thing that shows us how much she’s grown to this point in the series. I love, love, love Ethan & can’t wait to crack open the cover to start reading. I’ve told my husband from the beginning of this series, that if Ethan were real (as I secretly dream), then I might have to run off to marry his royal sexiness!! I still havent been won over to pick up this series again. Being realistic, the shark was jumped at the end of Hard Bitten and no matter how much joanie loves chachi the series will never be the same again. So predictable and annoying that he returned. Thanks for the review! I almost freaked out when Ethan was no longer there.I am relieved!